RIDDOR is the Reporting of Injuries, Diseases and Dangerous Occurrences Regulations 1995, which requires the reporting of any relevant accident or incident to the Health and Safety Executive (HSE) by the designated person responsible. In October of this year RIDDOR is changing, and so today I thought it would be helpful to take a quick look at what RIDDOR is, what it covers and who should be doing what, and to then cover what changes we can expect to see later this year. What Type Of Accidents Or Incidents Need To Be Reported? RIDDOR requires the reporting of any accident or incident which relates to the workplace. Whether it involves a member of the public or not, if a member of staff is involved in any way then the accident should be reported. So for example if two shoppers collided into each other in a supermarket car park, although the location is a business premises, no member of staff was involved and so it would be up to the police and insurance companies to deal with the matter. However, if a shopper collided with a member of staff who was perhaps collecting trolleys in the car park then this would need to be reported to the HSE. Who Is Responsible For Reporting Accidents Or Incidents? Usually the person responsible is the employer if the accident took place within business grounds. In most cases it is the person who is in control of the premises who must make the report to the HSE, and this is usually the employer, but in some cases there may be another designated person responsible for this. The RIDDOR reporting system is not normally for employees to use, nor for members of the public. If an employee is concerned at all then they should make sure that the responsible person files a report. If they are still concerned then they can contact their union representative, and in extreme cases the HSE can be contacted directly (for more details on this see http://www.hse.gov.uk/contact/concerns.htm). What Changes Are Being Introduced On 1st October 2013? The two main reasons why RIDDOR is changing in October is to help to simplify the process or reporting, and also to improve the usefulness and accuracy of the data collected by the HSE. The actual process of reporting an incident will remain much the same, and certainly businesses will still need to make sure that a record is made of any accident which involves the incapacitation of a worker for a period of more than three days. 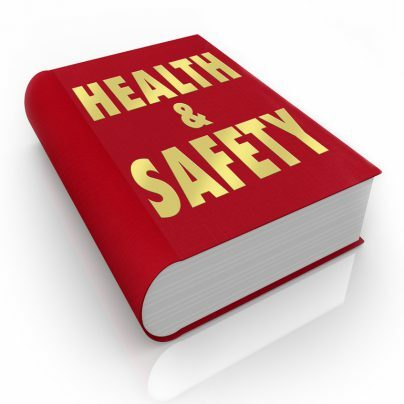 You can download a free copy of the Reporting of Injuries, Diseases and Dangerous Occurrences Regulations 2012 from here: http://www.hse.gov.uk/pubns/indg453.pdf, and the new Revision 1 document which will apply from 1st October is available here: http://www.hse.gov.uk/pubns/indg453-rev1.pdf. Please be aware though that the revisions are not yet finalised, and will require Parliamentary approval before being implemented. For this reasons it is important to keep an eye on these changes and make sure that once they are approved you verify you have the correct version. For further help or advice on RIDDOR, or if you have any concerns or questions about safety in a workplace environment, please call one of our friendly, professional Health and Safety Advisors at Veritas Consulting free on 0800 1488 677.